I have to say that he was brilliant at the concert in Castlebar last March.He has that snare sound that Bill Brufford perfected.Is Scott here to stay or is he just filling in for James Duncan? I love all the Tull Drummers. Scott can play! "All The Best, Scott Hammond"
Why specifically? Beyond the need to live in the past. Nothing to do with past. Doanne Perry is a great rock drummer really lifted Tull in the 80's when they went more mainstream 'rock'. Ive noticed over the years that his power and volume was a problem for Ian's ability to hear his vocals thru the moniitor system. 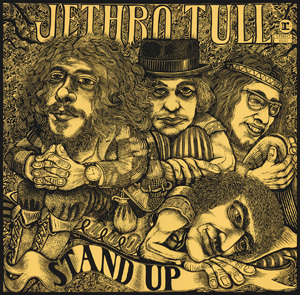 If you know about Tull you would have noticed how Perry's setup had to change to suit Ians Weakening voice. When I witnessed Tull recording Aqualung for XM Radio back in 2004 I was blown away by how thunderous Doane's drums could be. Amazing player. Dead right TM Doanes a monster drummer,loved watching him play. So was the late Mark Craney ,fantastic. They're very different drummers... We all know and love Doane for his ability and kindness. 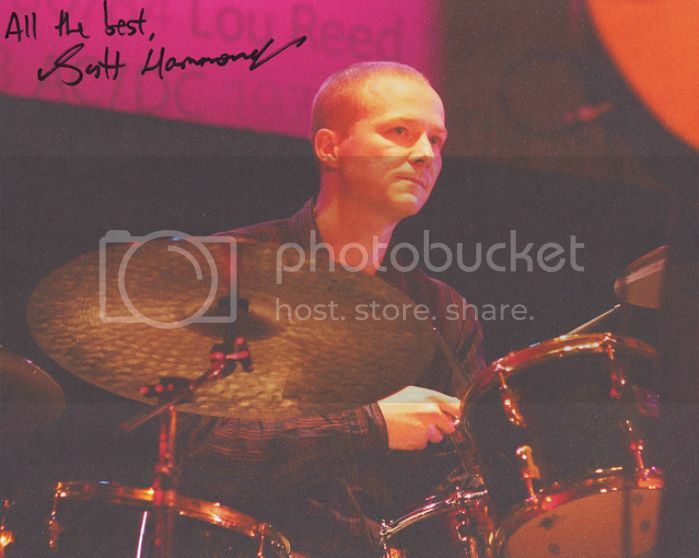 But I must say, after hearing Scott in 2010 in a "Christmas Concert" with Ian and yesterday in the TAAB2 show in Milan, that he is a fine, precise and professional drummer. 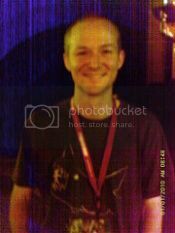 And a gentle and kind person as Doane. So I hope he will be Ian's final choiche for the years to come, considering also the not-so-good health conditions of good old Doane. Listening to Scott on the current TAAB tour I am led to believe he is the best drummer in the group since Barlow. I wonder if Ian might dub him Scott Hammond-Hammond and keep him around. Listening to Scott on the current TAAB tour I am led to believe he is the best drummer in the group since Barlow. I wonder if Ian might dub him Scott Hammond-Hammond and keep him around. You don't have to be flashy or have the biggest set-up to be a great drummer. That's right, Kai, Ian has always had Quality musicians! His interpretation and execution of TAAB1, which is so much more demanding and complex than TAAB2 is absolutely spot on. Excellent drummer. Long may he continue. And yes, I know Scott doesn't drum for Tull, Doane does, but...well, ya know...!?" Clive and Barrimore are special players and back then Ian maybe had less control over how the drums should sound or how the drummers should play. They were able to play how they played. With Doane (besides the fact that he's no barrimore) I feel he had less control over his own playing. Ian developed a certain intolerance for stage volume and trying to play the flute over loud drums in particular. I have seen concerts with Doane playing in front of a giant drum shield and with the quiet multi-rod sticks. In the Clive/Barrimore days the drums were always taken to the limit and seemed to push the band. Later on they became more relaxed and more like just a timekeeper. Which IMO.. gave the music a kind of boring element. I think the fact that Scott has livened it up a little has to do with that he had to almost learn Barrimores brick parts note for note.. probably made him a better player in general.